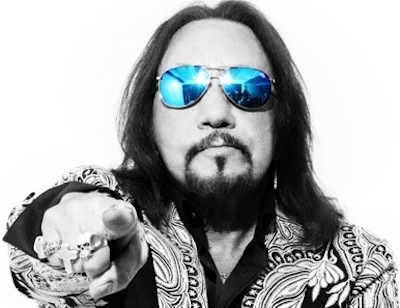 Original KISS guitarist, Ace Frehley, was a guest on June 30th broadcast of Eddie Sirius/XM show, Trunk Nation. Highlights from the interview appear below (as transcribed by blabbermouth.net). According to Ace, whether or not he ever reunites with KISS will depend largely on the demand from the band’s fans and concert promoters around the world. Yeah, Ace has a nice grasp on things now. I’m glad Gene & Paul will work with him again. I really hope they will work with Peter if asked, maybe help him finish his fabled “rock” album. I really do hope it happens..
“In youth we learn, with age we understand.” Good to see, hopefully, the mending of fences. The two songs you cite as lame feature killer polyphonic vocals….that is so freaking tight….those two songs are pretty awesome, perfect for Paul and Gene, thus, Kiss. Great to hear that Ace is on better terms now with Gene and Paul. I do believe that eventually they will do a farewell gig with all four original members, when they finally pull the plug on KISS. I don’t think Peter could do a full tour, but he could probably pull off one show. Eric and Tommy understand that they are not “members” of the band, but are hired guns that Gene and Paul hired to play their roles. They have done their jobs well, and KISS has soldiered on for many years without Ace and Peter on board. But I think a final gig should, and will, be coming soon that will include Ace and Peter. The fans will demand it, and the money will just be too good for KISS to ignore.